In 2013, it will be my goal to post a new photo every day. If I miss a day, I will try to post two the next or if I know I will not be available, pre-post. Hopefully this encourages me to sort all my photos and grow my skills. I will strive to make sure it is not photos I have previously posted, but I may rotate in a few throwbacks. We will see how this goes! The Alaska cruise left from a port in Seattle, WA. It was a perfect balance of sun and clouds that day. 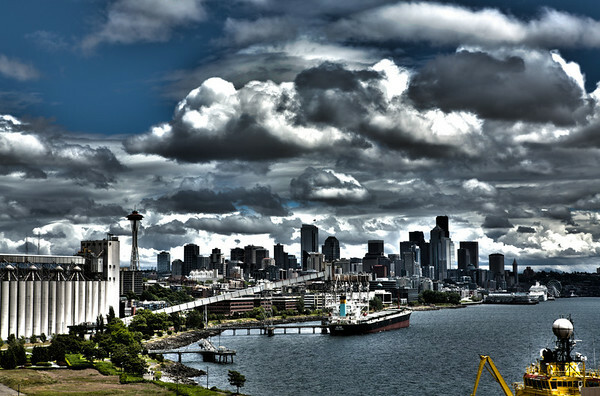 This photo is going up today, because tomorrow I will post a slew of photos of Seattle.